On June 21, 2018, the Brandywine Living at Dresher Estates Team walked over ninety-three miles and raised an estimated $1,500 in support of finding a cure for Alzheimer’s disease on The Longest Day®. 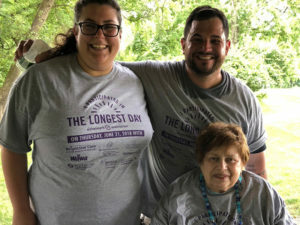 The Alzheimer’s Association hosted its first The Longest Day® fundraiser on the summer solstice in 2012 and it has become their second signature fundraising event. Teams across the globe spend the day honoring those who’ve been diagnosed with Alzheimer’s disease by participating in physical activities and raising awareness. 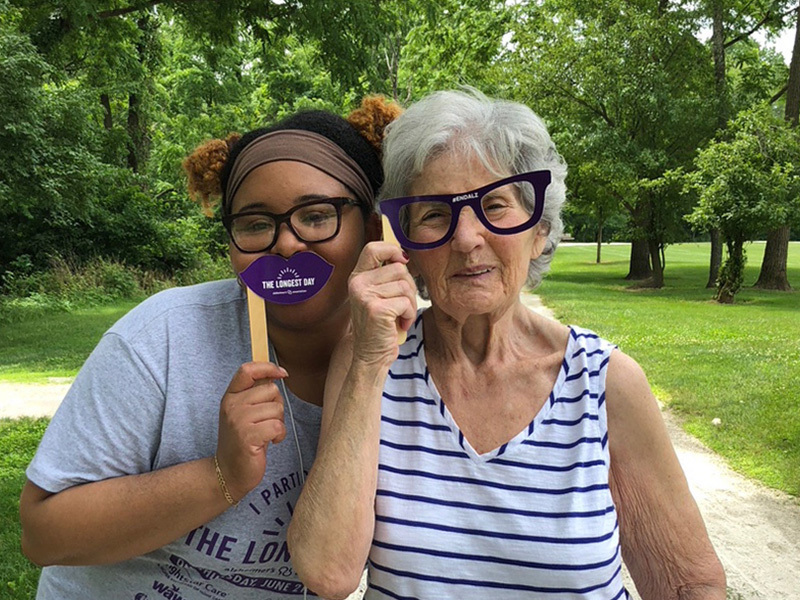 “The inspiration for organizing our own community walk on this day was to provide an opportunity for residents, team members and families, who cannot attend the Alzheimer’s Association Philadelphia Walk, to support the cause. It also allows us to come together in a much more personal way and share support for each other,” said Rachel Kaufman, Escapades Producer of Brandywine Living at Dresher Estates. The day started with relay walkers arriving at 6:30am to Monduak Commons Park, located behind the community. During the day, a total of sixty walkers comprised of residents, team members, family, and sponsors arrived to walk the one-mile park track at different time slots. 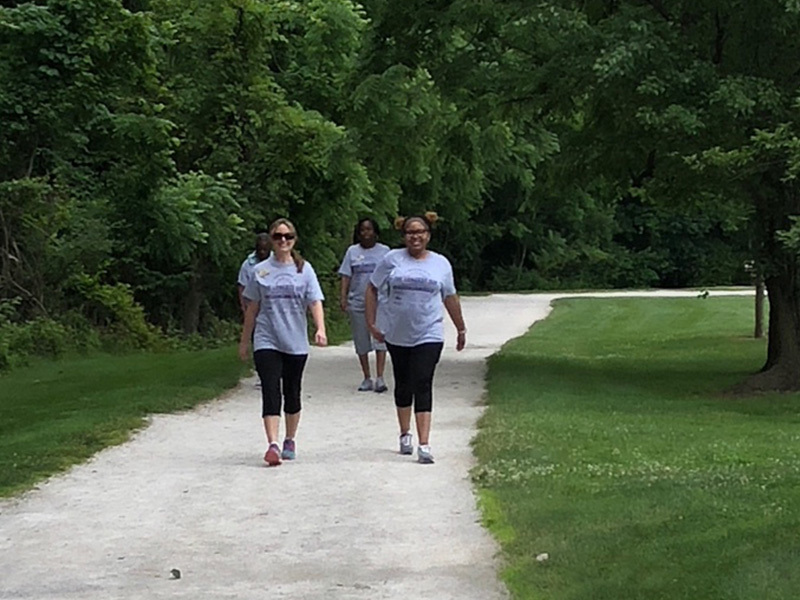 At least one team member was walking at all times until sunset to symbolize the constant fight against Alzheimer’s disease. 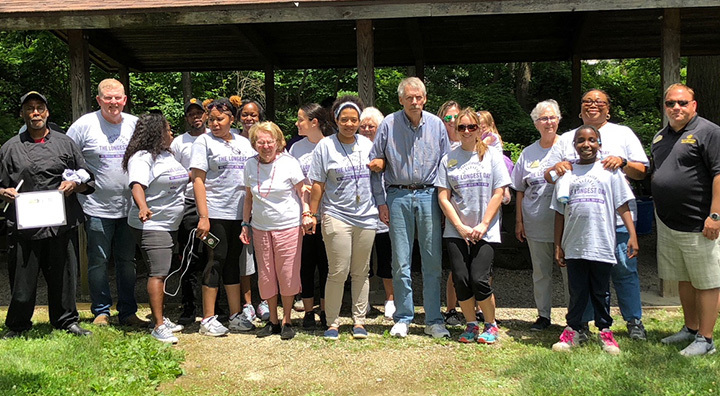 Walkers and event volunteers were able to enjoy refreshments and socialize together in the picnic area in the park. Last year, the community started accepting sponsorships for their walk to help increase awareness in the community. Brandywine Living’s 2018 The Longest Day® sponsors included Brightstar Care, Wawa, Rothkoff Law Group, BAYADA, Gwynedd, Genworth, and the Abramson Center for Jewish Life. 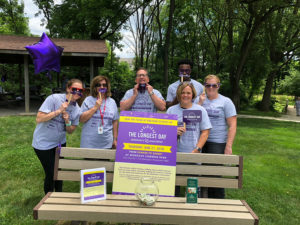 Brandywine Living at Dresher Estates is dedicated to raising awareness and offering support to families affected by Alzheimer’s disease. For more information on Alzheimer’s events or support groups offered, please contact 215-591-4000.